- FrancesCassandra: UK fashion, beauty and lifestyle blog. : Review: Popband. Anyway, enough of my moaning! Today's post is a review on some little hair accessories that were kindly sent to me by Popband. 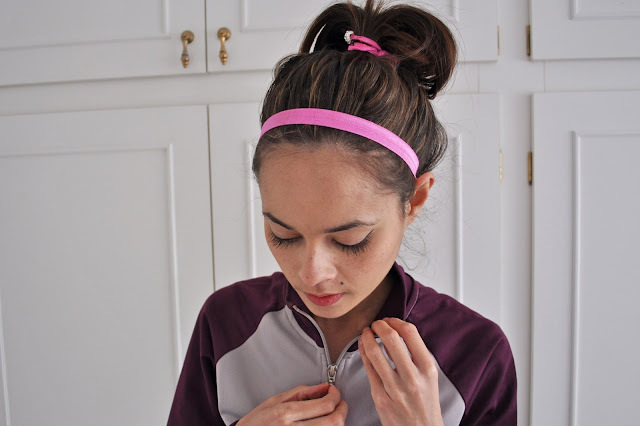 I have very thick, stubborn hair, and problem that I have always found myself having to deal with is pulling tangled, broken-off pieces of hair from my hair bands after having to wrestle them out of a messy bun- such a nightmare and so, so painful! However, two weeks ago Popband came to my rescue. I have seen hair ties like these before and have really wanted to try them out as I had heard a lot of good things about them. They claim to be gentle on your hair whilst keeping it firmly in place until you want to take it down, and when you do they won't rip your hair out and they also won't leave that annoying kink behind. Plus, they come in lots of different colours and prints with a sparkly bead attached so that they look pretty worn on your wrist as well as in your hair! Don't you just hate the trouble that comes with tight elastic hairbands? Have you tried Popbands?